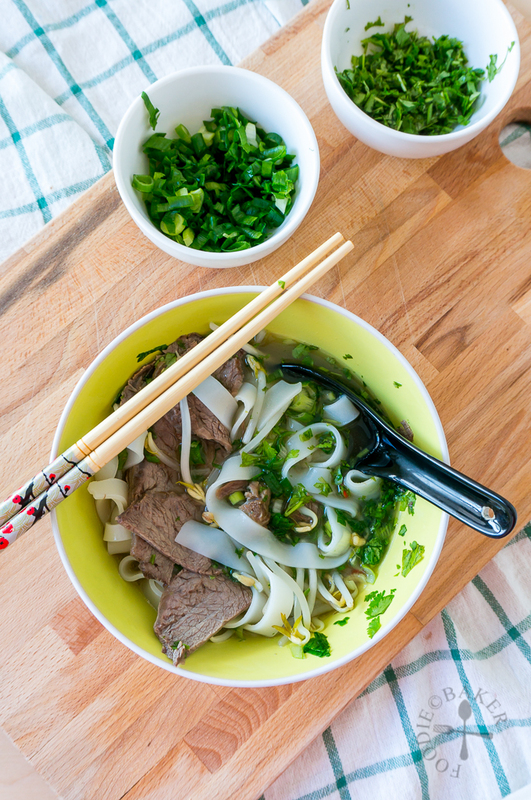 Pho is a popular street food in Vietnam, which is a noodle soup consisting of broth, flat rice noodles, vegetables, herbs and meat. The most common version is beef, but chicken pho is usually offered as well. I cannot remember when was the first time I tried pho or when I got hooked to this delicious bowl of comfort, but I know I love how I can add different types and amounts of herb into the broth to create a totally unique and for-myself-only pho. What makes pho so tasty has definitely got to be the broth. The broth is made by simmering bones, meat, charred onion, charred ginger, star anise, cinnamon, cloves, coriander, fennel and fish sauce for hours until the meat is falling apart and all the goodness have been extracted from the bones and spices. I omitted the fennel (none on hand), added a bit of spring onion and used ground coriander (no coriander seeds on hand). When the broth is simmering, it will smell soooo good that you might think that you have been teleported to Vietnam – okay not really, but I guarantee you that you will not want to open any window and let this wonderful smell escape! The herbs and lime (I had to use lemon) added at the end will also transformed the broth – so don’t forget to add them! Though I only had coriander and spring onion on hand, the soup is so extremely tasty that not a single drop remained at the end of our meal! Due to language barrier, I simply bought a slab of meat that looked like brisket / chuck to me. After going back home to verify what part I’ve bought, it seemed like I had bought a piece of foreshank back – but some beef part images on other websites state that the part I bought was brisket or chuck… so confusing! Anyway, all of these parts will work for this recipe because they are all suitable for a good simmer. I did not get any flank or other cuts that can be used as the raw beef added just before serving as I bought quite a substantial amount of brisket / chuck / foreshank, but you could get some and slice them yourself or just use shabu-shabu beef. This is definitely a pho-tastic bowl of noodles that I will love to make again, and I strongly suggest you give them a try too! Here are the step-by-step photos! 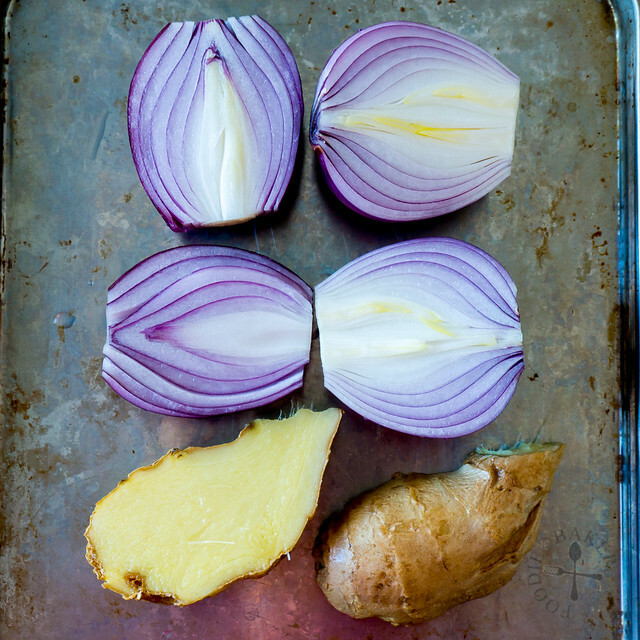 1) Peel and halve the onion; leave the ginger unpeeled and halve it lengthwise. 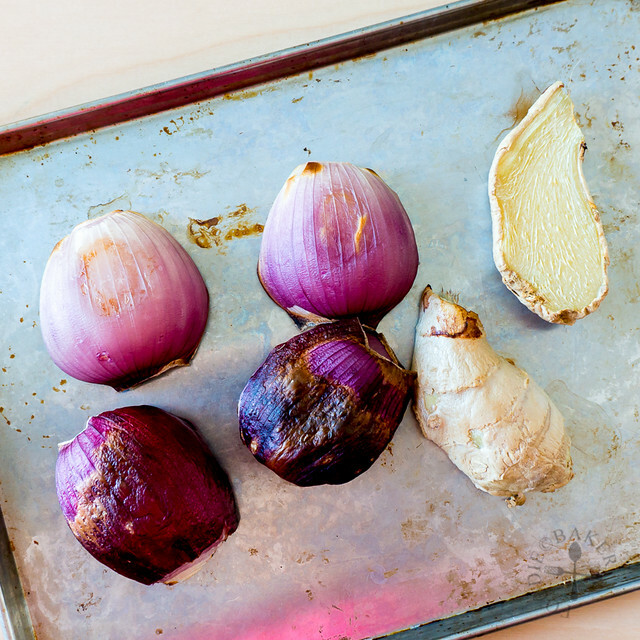 2) Broil ginger and onion for 20 to 30 minutes until charred, flipping them once. 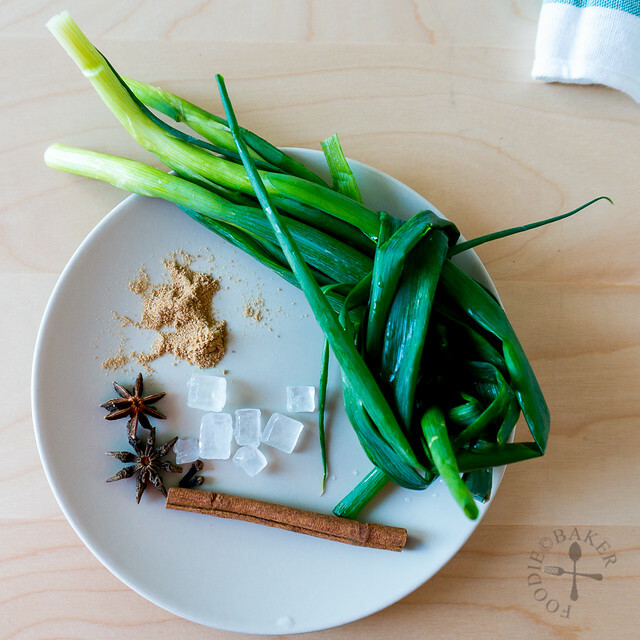 3) Grab your spices – spring onion, star anise, cloves, cinnamon sticks, coriander seeds (I used ground) and rock sugar. 4) Meanwhile, par-boil beef bones and meat. 5) Keep it on a rolling boil for 10 minutes to expel all the scum. 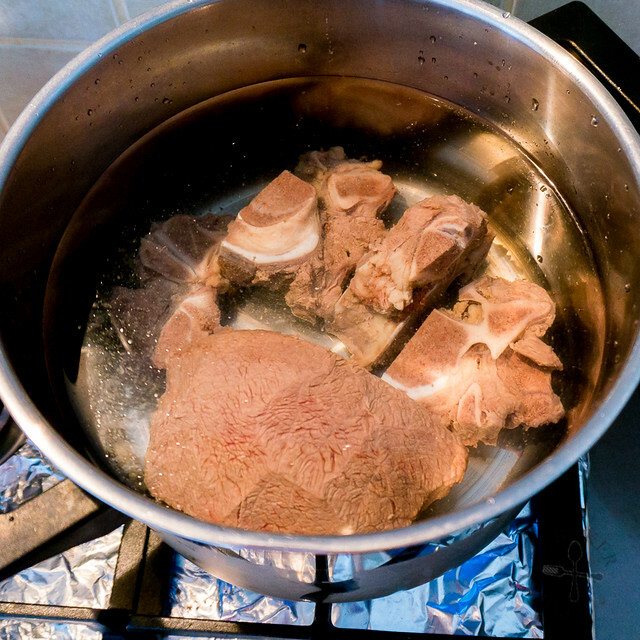 6) Drain, rinse the beef bones and meat, place into a clean pot and cover with water. 7) Bring to a boil, then add in broiled vegetables, spices, fish sauce and salt. 8) Keep it boiling for 1.5 hours then remove the beef meat. Boil for another 2 to 2.5 hours. 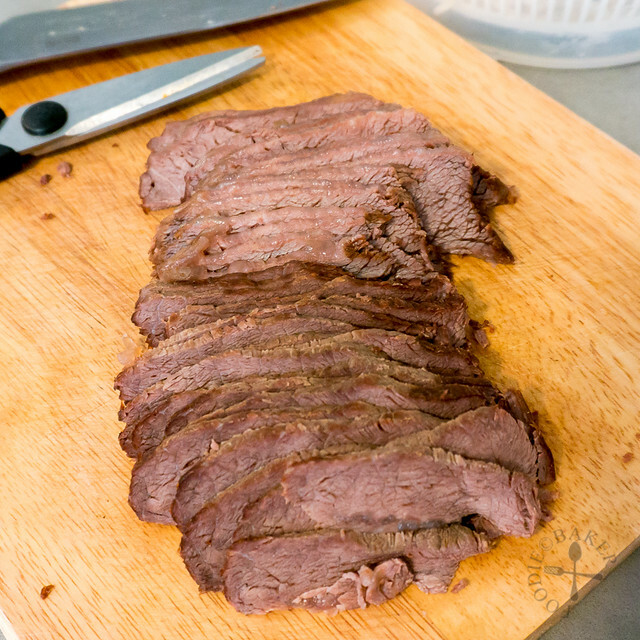 9) Once the beef meat has cooled completely, slice it against the grain thinly. 10) Drain the stock. 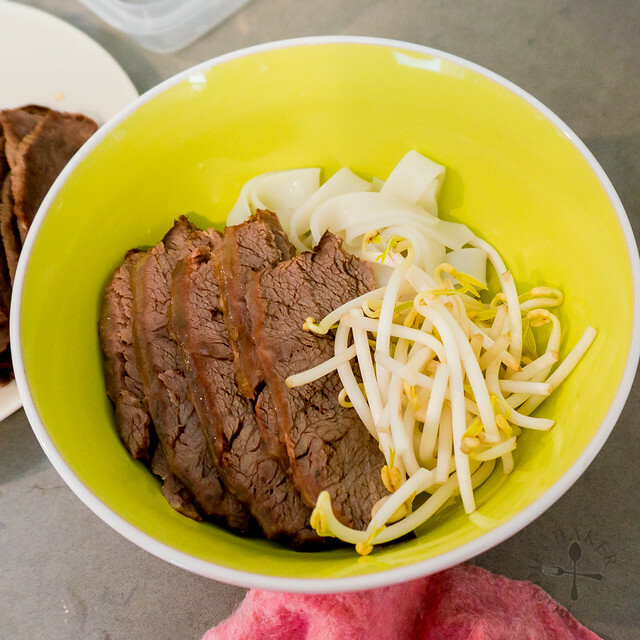 11) Assemble all the ingredients for the pho – rice noodles, bean sprouts and the thinly sliced beef. 12) Taste the soup and season accordingly. Bring to a rolling boil. 13) Pour the boiling soup over the rice noodles and serve immediately. Garnish with lots of coriander, spring onion, mint, basil, a little sliced chili and a squeeze of lime and dig in! Preheat broiler (top heating element to the highest heat). Place ginger and onion on a baking sheet and broil on the highest rack for 20 to 30 minutes until charred, flipping them once. Remove from oven and set aside. 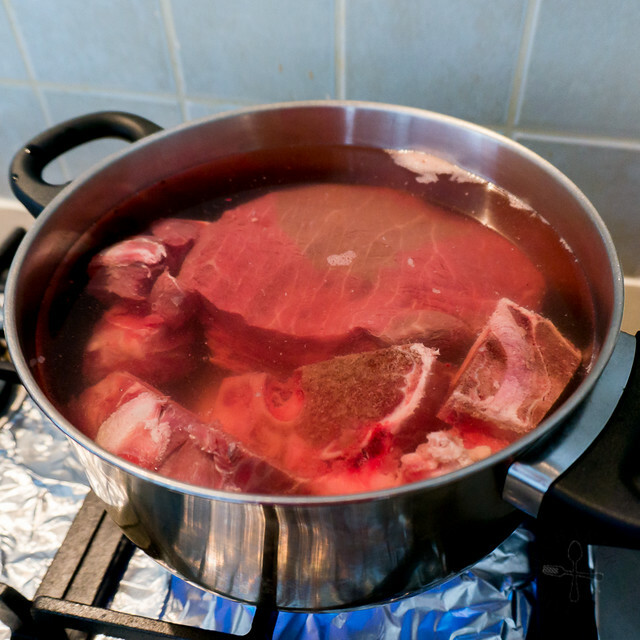 Place beef bones and meat in a large pot. Add water to cover and bring to a boil. 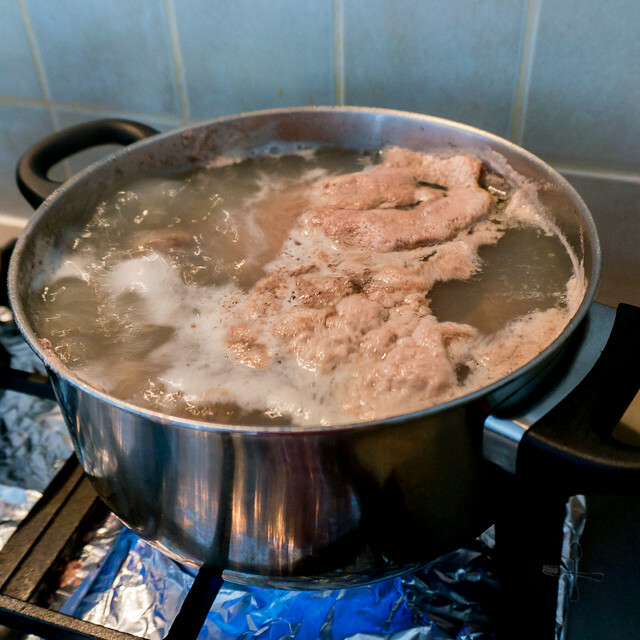 Continue to let it boil vigorously (over high heat) for 10 minutes, then drain and discard the water. 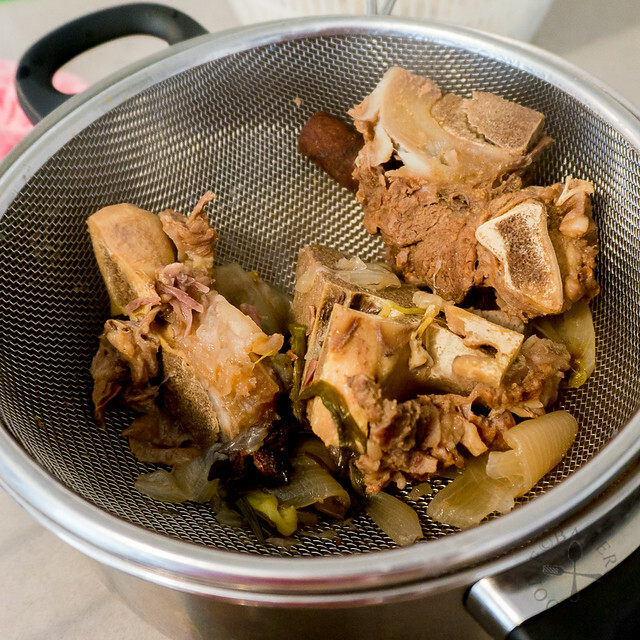 Rinse the beef bones and meat well to remove any scum. Clean the pot and place the beef bones and meat back into the pot. Add in 3 litres of water into the pot and bring to a rolling boil. 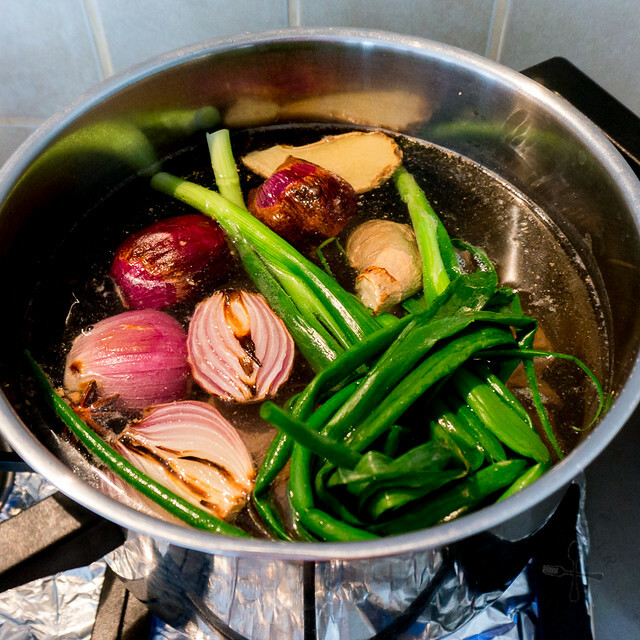 Add in the broiled onion and ginger, spring onion, star anise, cloves, cinnamon stick, coriander seeds, fish sauce, rock sugar and ½ teaspoon salt. Bring to a rolling boil, then cover and continue to boil over medium to medium-low heat. 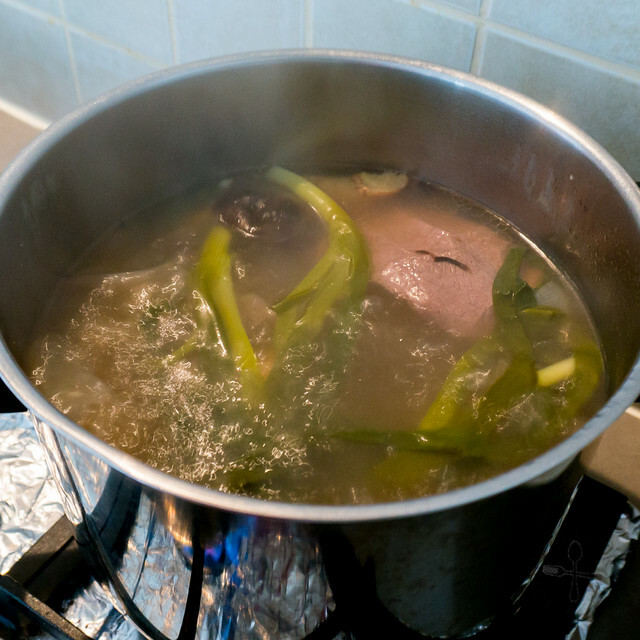 The stock should constantly be on a gentle rolling boil during the whole period of cooking. After 1.5 hours, remove the beef meat. Continue to boil for another 2 to 2.5 hours. Check the water level regularly - if it's getting too dry, reduce the heat and/or top up with hot boiling water. Drain the stock into another clean pot, discarding the solids. Top up with water or reduce the stock until you have about 1 to 1.5 litres of stock left. Taste the stock and adjust with salt or fish sauce. Combine rice vinegar and sriracha sauce in the ratio 2:1 (e.g. 2 tablespoons rice vinegar:1 tablespoon sriracha sauce). Add more rice vinegar or water to taste. Let the beef meat cool completely before slicing it against the grain thinly. Boil rice noodles until softened according to package's instructions, drain and rinse under cold water. Divide the rice noodles among 4 bowls. 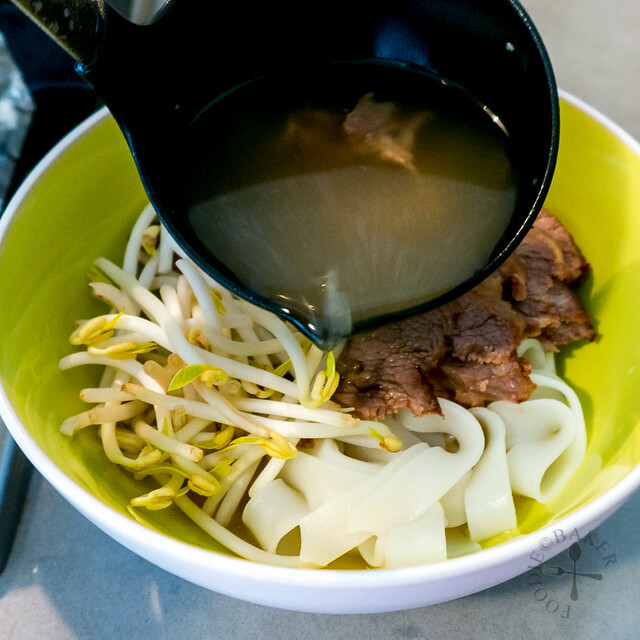 Place the beef slices and raw bean sprouts on top of the noodles. 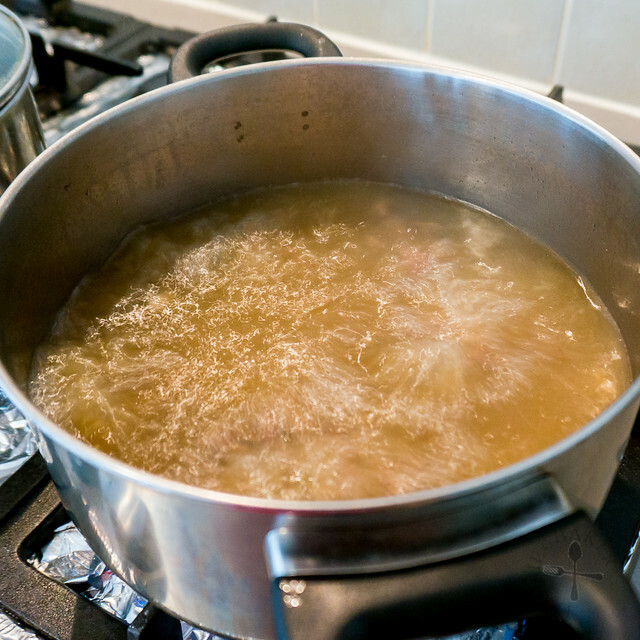 Bring the stock into a rolling boil and pour it over the rice noodles. Serve immediately with the condiment/dipping sauce, allowing your guests to add their own amount of coriander, spring onion, mint, basil, chili and lime into their own soup. - You can also add shabu-shabu raw beef on top of the rice noodles before pouring the hot soup over. I love pho! This looks amazing! The broth sounds tasty! YUM! Oh wow..this is a beautiful dish, Jasline. Totally making me drool! You are incredible! 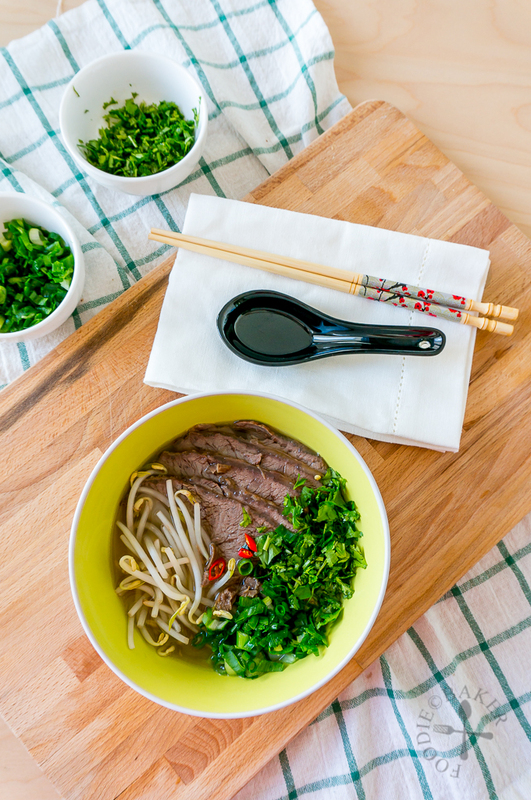 I love pho and the only time I tried making it at home was using a very easy shortcut recipe. It was good but it’s not like this awesome process of charring the onions and then cooking down all the meat. It looks totally mouthwatering! The broth does sound wonderful, Jasline! I love soup time of year. Nothing warms you better than a delicious bowl of soup like this. Thanks for sharing! 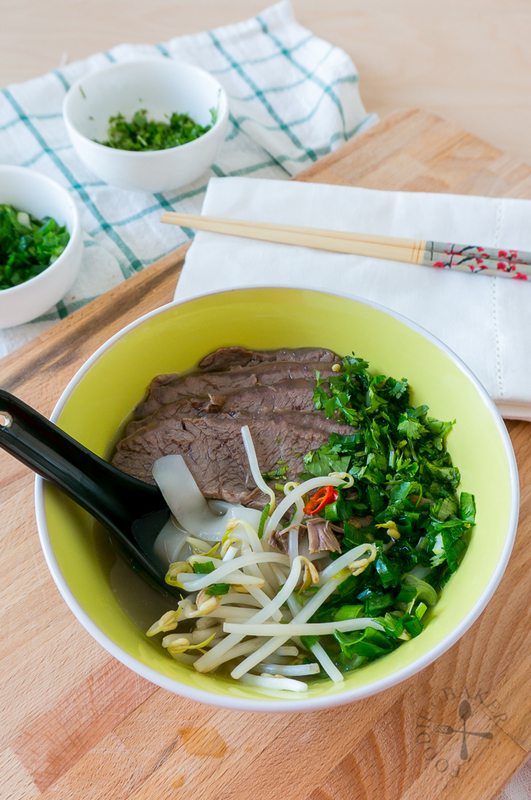 I totally love pho, this is comfort food to me and I’ll take a bowl of this anytime! I love pho, but have never made it myself! It looks like you have the perfect recipe!!! 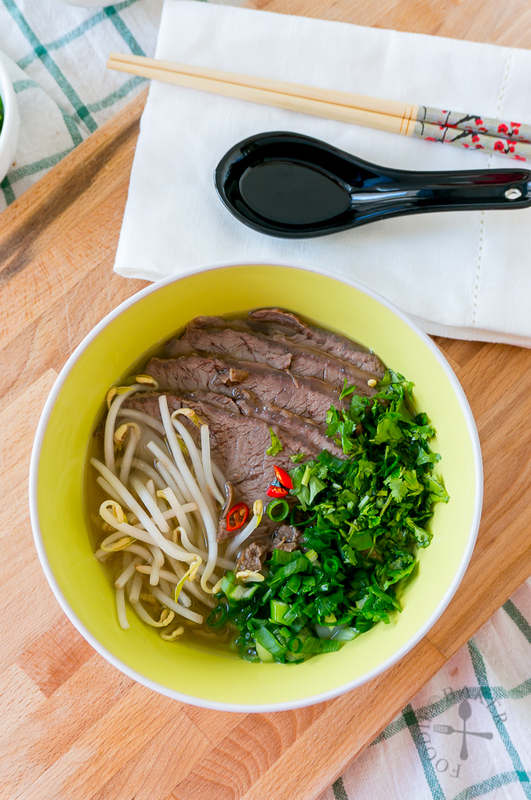 Pho is simply a bowlful of comfort! I’m always up for another round, even at the height of summer. You’ve got me seriously craving it right now! 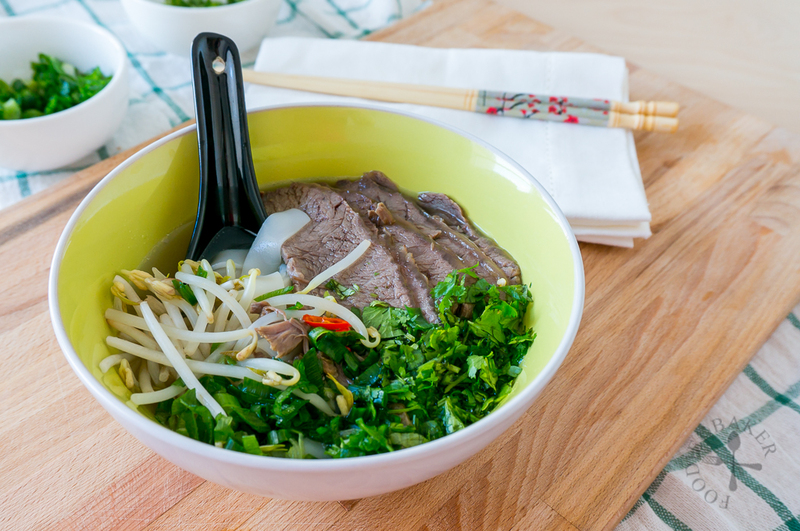 It sounds like the effect you put into this dish resulted in a very flavorful pho. Pho is one of my favorite dishes to get when I go out to eat! I never even thought of trying to make it myself at home. You make it look easy with your step by step instructions Jasline! hey Jasline! I LOVE beef pho!! can’t wait to try this recipe! and thanks for the visit to my blog! Cheers! Looks like a truly pho-tastic dish, just as described! I actually ate pho for lunch, despite the heat it’s 31C here. It really is that delicious & totally worth it!